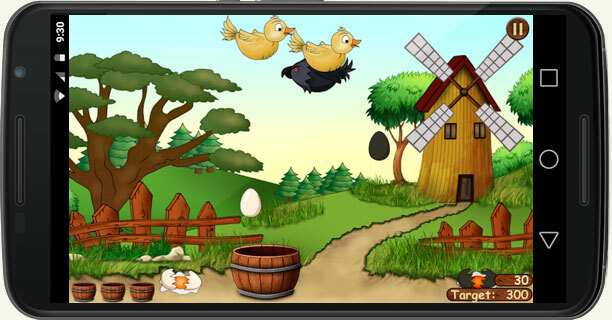 Catch the Eggs is a super funny easy eggs game, catching white eggs from flying birds. 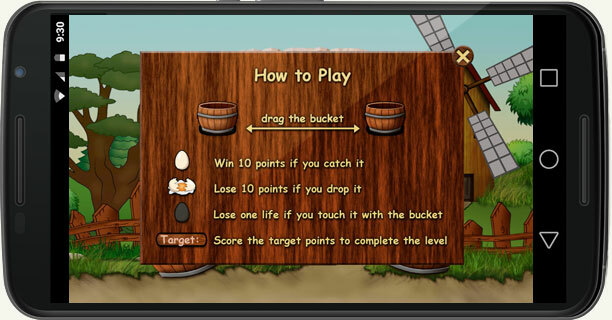 All you have to do is dragging the bucket with your finger to left and right and catch only white eggs, winning 10 points. Don't lose to many on the ground because you lose 10 points from your score. Don't touch the black eggs with the bucket because you lose one life and after you lose three lives you lose the level. Each level have a target points. 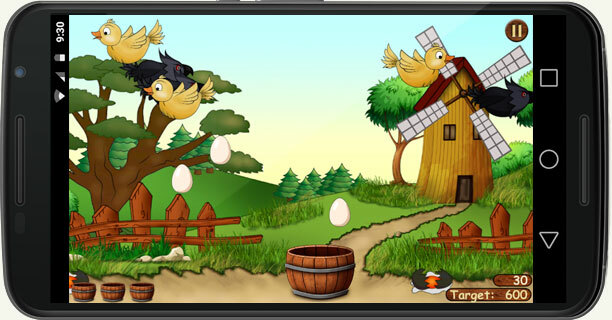 Catch many white eggs to achieve the target points and win the level. 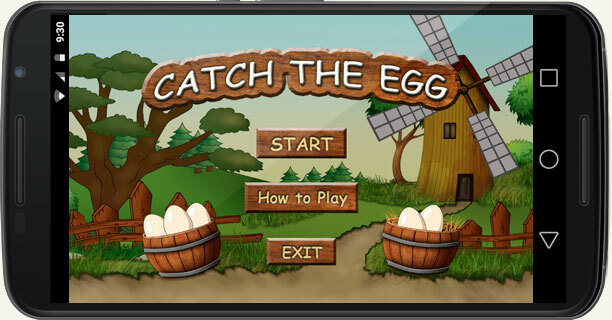 Catch the eggs have 15 levels. The yellow birds throw white eggs on the ground. The black birds throw black eggs on the ground. You have a beautiful world with beautiful sound effects.